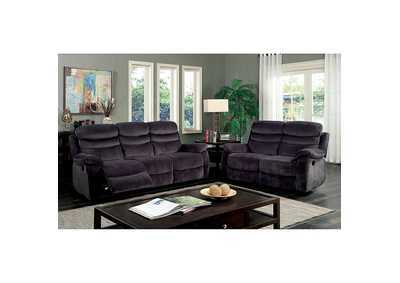 Sit back and sink yourself into this ultra-comfortable reclining sofa. 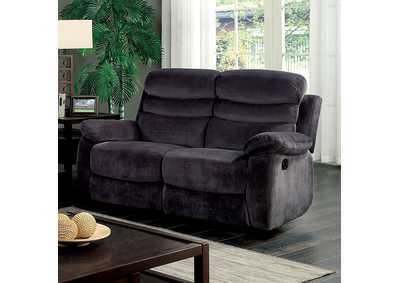 Upholstered in soft gray fabric to enhance your lounging experience, each recliner features a manual side lever for easy relaxation. 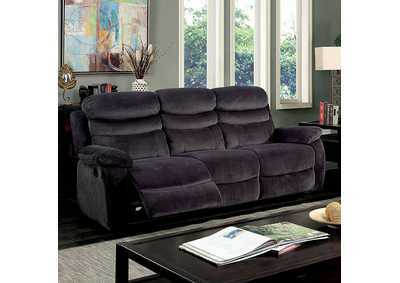 Tufted and plush cushions provide optimal comf ort for you to kick back and dream on after a long day.